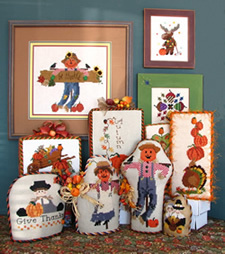 Beginning in 1984, we have published over 300 of our own original cross-stitch designs. Our designs are created with the stitcher in mind and reflect an appreciation for the quality and types of patterns you expect. The patterns are easy to read and fun to stitch. 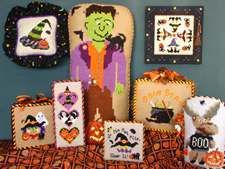 Buttons, beads and other finishing touches are used, as well as specialty fibers and a variety of cross-stitch fabrics and stitches.